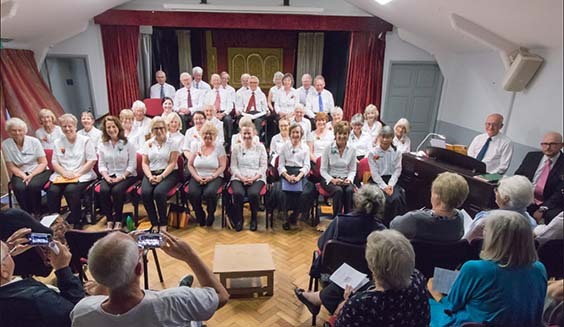 Beckington Village Choir was formed in 1996 through the Leisure Links 'Arts in Mendip Villages Programme 2000'. These leisure links Arts programmes were set up to run for 4 years, from January 1996 to the year 2000. Their aim was to involve Mendip villages in various areas of the arts. Leisure Links appointed Rupert Bevan as the first conductor and the choir started off with 12 members. Rupert conducted the choir for 2 years. Ruth Phillips - former Head of Music at Frome College - who lives in the village, took over as conductor from Rupert Bevan. The choir is now conducted by Neil Moore, a musician new to the area, who once took a choir to the BBC Choir of the Year Finals. He also directs Bath Cantata Group, Oakfield Choir in Frome and Vox8, a vocal octet. The choir is accompanied by Alan Burgess. 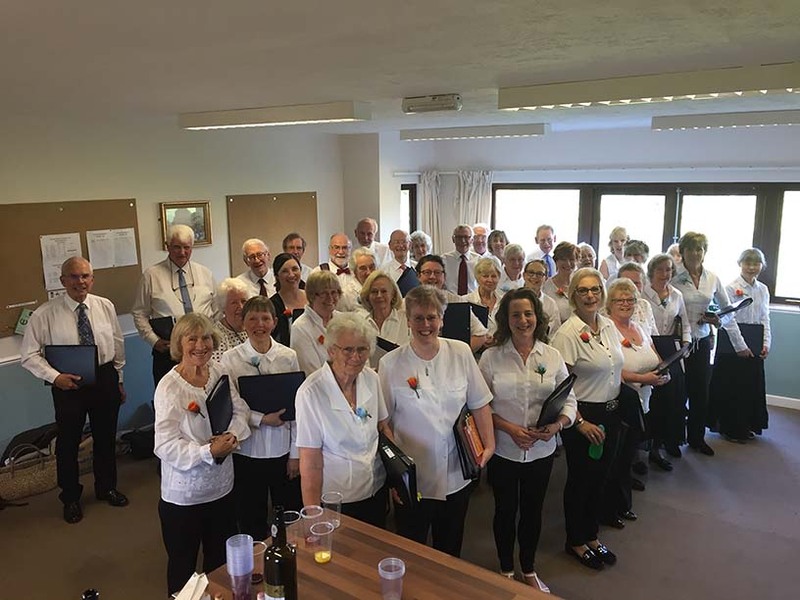 Beckington Choir is an SATB mixed choir, with a membership of around 45 singers, of all ages and they perform two concerts a year in Beckington. In addition to our two concerts we sing at village day, 2 carol services and at the annual Remembrance Day Service, in St. George’s Church, Beckington. There's also the opportunity to sing at the The Really Big Chorus Messiah from Scratch in the Albert Hall every other year. Membership of the choir is open to all singers of any ability and there are no formal auditions. The main requirement for membership is a love of making music in an atmosphere of relaxed fun. The choir welcomes new members of all voices, including complete beginners who have never sung before and who, perhaps, cannot read music - tuition can be given here. Those interested in joining the choir, or just coming along to have a taste of what singing with the choir is like, are invited to contact the choir via our conductor Neil Moore (see below). The choir sings a wide range of music from light (songs from the shows etc.) to the more serious 'classical' repertoire. The choir always welcomes new members and rehearses on Tuesday evenings from 7.45-9.30 pm in Beckington Memorial Hall. Our next concert is on Tuesday 7 May 2019 in the Memorial Hall. The title of the concert is ‘From D’oyly Carte to Lionel Bart' as the choir is performing Gilbert and Sullivan’s Iolanthe choruses along with a medley from Bart’s Oliver and jazzy Songs and Sonnets from Shakespeare by George Shearing. Tickets at £10 can be purchased from choir members or on the door on the night. Children may attend free of charge. Our legendary refreshments will be provided after the concert as part of the ticket. All welcome. For more details about the choir please contact our Musical Director, Neil Moore on 07864-628932 neil.r.moore@icloud.com.